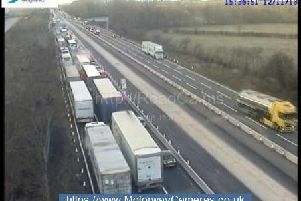 Two lanes are currently closed on the M1 northbound in Buckinghamshire following an accident. There are severe delays between junction 14 near Milton Keynes and junction 15 for Northampton. 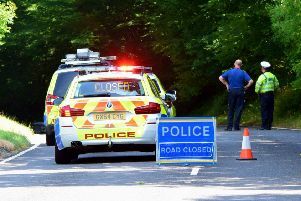 Highways England has confirmed the closure follows a collision involving an HGV and a large diesel spillage. A spokesman said: "Contractors are working at the scene to clear the spillage. "Please seek an alternative route as 8 miles of queuing traffic on the approach." The incident is also affecting surrounding routes including the A508 northbound where there is very slow traffic.